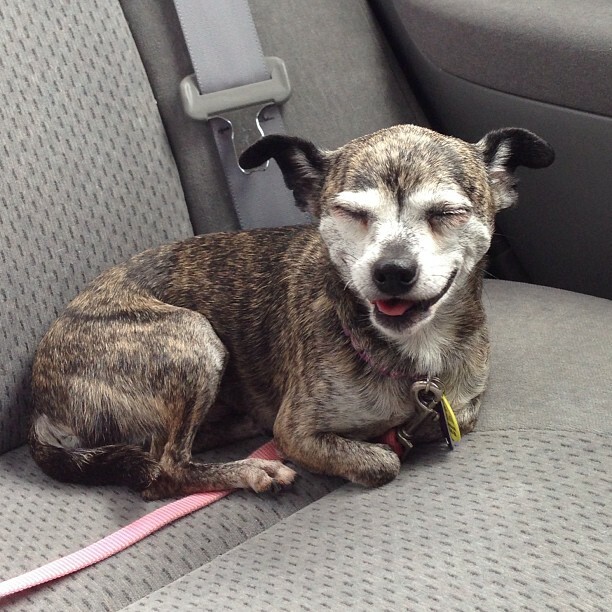 After an absence of too many weeks, Tammy the Pup is back! That was my fault though: just been way busy on this end of things. And I've a few posts percolating in the ol' gray matter that I'm gonna try to channel into reality the next coupl'a days. I was horribly occupied all this past week with an assignment and am really out of touch on things. What's this about Miley Cyrus being the next Batman? This week's Tammy Tuesday's guest host is... Lucy! 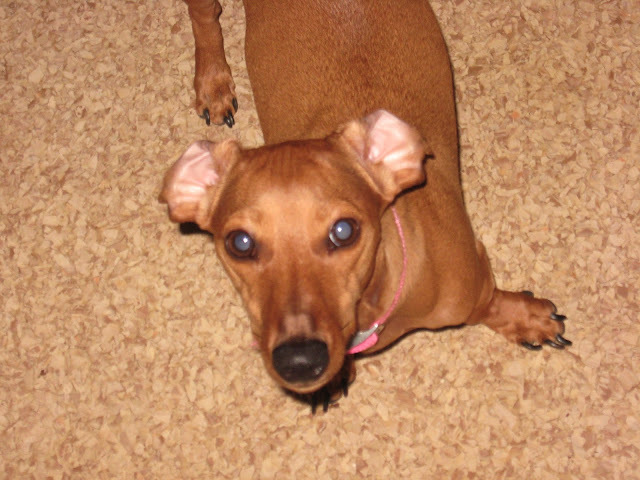 So... this was supposed to be a Tammy Tuesday: the weekly pic of my mini dachshund. Unfortunately the little girl is feeling under the weather today! But don't worry folks she's got that mischievous glint in her eye which is already threatening to unleash havoc when she's back to normal soon. Beastie Boys' "Sabotage" performed by librarians! This might be the most awesome-sauce loaded thing you behold all weekend: some New York City librarians have made a parody video of "Sabotage" by the Beastie Boys! And they totally pulled it off in the spirit of the original music video that Spike Jonze directed. There was a horridly huge amount of work-related... work, these past several days and as a result I couldn't post a Tammy Tuesday either last week or this one. I'll do my best to entice her for new material this coming one. 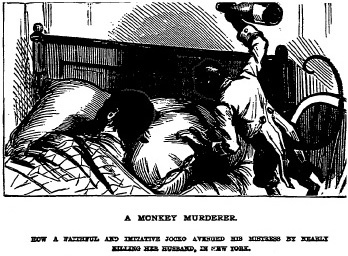 That illustration was first published in the January 6th, 1883 edition of the National Police Gazette: America's original tabloid newspaper! And you can find even more classic, wacky, and often disturbing images from the archives at its official website. Visit them, and be sure to tell National Police Gazette proprietor William A. Mays that Chris Knight sez "hey!" I could not resist having fun with that title. It was just too punny! 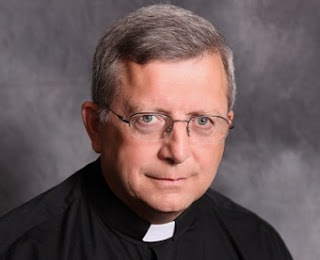 One of the more intriguing stories last week was that of the mysterious priest who arrived on the scene of a vehicular accident in Missouri. 19-year old Katie Lentz was on her way to church when a drunk-driver smashed her car. Emergency workers tried for more than an hour to get Lentz clear of the wreck and it looked like she wasn't going to make it. Just then a Catholic priest appeared, anointed Lentz with oil and prayed with her. It was very soon after that firefighters and EMTs got Lentz out and flown to a hospital. And the priest? He vanished before anyone had a chance to thank him for being there. Curiously, he didn't turn up in any of 90-some photos that were made of the crash site. Between that and the effect he seemed to have on everyone involved, many have wondered if it was an angel who came to Katie Lentz's assistance. The thing is, according to news articles from the past week, Lentz worships at an Assemblies of God congregation. She isn't Roman Catholic. Neither does it sound like the denominational background of anyone involved was ever questioned or commented upon. It was one person who happened to be a follower of Christ being at the scene to minister to another follower of Christ when she needed it most. There are no doubt some who are going to be disheartened to discover that it wasn't a real angel who came to the side of Katie Lentz and those working to save her life, but rather a very human priest. But that doesn't mean that it wasn't a miracle. Miracles don't have to be shimmering demonstrations of supernatural wonder and glory. Do I believe that God allows miracles to happen? I absolutely do. Even today. And some of them are of the sort that one can't readily explain away. Believe me, I've tried. But that isn't what most miracles are. A miracle is God letting things "click" into place, at precisely the right time. And Father Dowling's being on the highway that close to the accident is as much a miracle as any miracle out of the New Testament. It might be the cinematic coup of the decade: a seven minutes-long clip of behind-the-scenes footage from The Day the Clown Cried has been posted to YouTube. Perhaps the most infamous movie never released, The Day the Clown Cried is the 1972 film directed, co-written and starring Jerry Lewis which ended up in a legal mess about ownership rights which kept it from being finished and distributed. That was more than forty years ago. Maybe it was for the best. What was The Day the Clown Cried about? Here's the synopsis as I first heard it: "Jerry Lewis is a clown in a Nazi concentration camp". Lewis was playing a washed-up German clown named Helmut Dork (?!) who gets drunk one night and bad-mouths Hitler in earshot of some Nazi officers. Dork gets sent to a prison camp, then winds up at Auschwitz where the kommandant uses Dork as a "Judas goat" for herding Jewish children into the gas chambers. In the final scene, Dork chooses to walk with the kids into the chamber and die with them: making the children laugh as the Zyklon-B canisters drop through the chutes. It was supposed to have been Lewis' first "serious" motion picture: something he had pinned Oscar hopes on. He wanted to try something which wasn't comedy for a change. So he went with a tragic story about the Holocaust. It didn't end well. To this day nobody apart from Lewis himself and a few favored individuals have seen the entirety of The Day the Clown Cried. Lewis purportedly has kept the only copy locked up in his office all this time. Where he once was passionate about finishing and releasing it, he is now adamant that it will never be shown. I'm gonna reiterate what I said four years ago: there's no doubt that The Day the Clown Cried would have been a box-office horror and likely would have upended Jerry Lewis' career for all time had it been released. But even so, it demonstrates how Hollywood was trying to deal with the subject of the Holocaust: something that happened a quarter-century earlier and which people were still trying to grasp. So it can't be said that Jerry Lewis can be faulted for trying. If anything, he made an effort that should be appreciated. A failed and flawed effort, but in retrospect it wasn't one that many others could have attempted. Lewis' heart was in the right place. He just lacked the proper pathos for the project, and I wonder if anyone at the time had it. Everybody at the scene, from firefighters to police paramedics to the victim herself, saw him and heard him. His calming words and peaceful demeanor are being credited with saving the life of a 19-year old young woman. 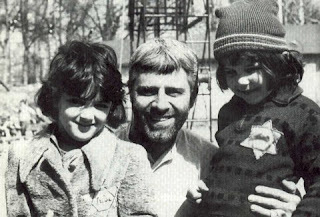 But he is nowhere to be found in any of the nearly 70 photographs taken at the site of the accident. Neither can anyone figure out how he could have been there to begin with, since the road was blocked for two miles by police on both sides of the wreck. There were no parked cars. There were no pedestrians seen approaching the site, either walking along the road or coming across the fields along Highway 19 near Center, Missouri. He disappeared before anyone could thank him. And yet he was there. His presence is being called a miracle. And many are wondering if the person - who seemed to be a black-garbed silver-haired Catholic priest in his fifties or sixties - might have been an angel. 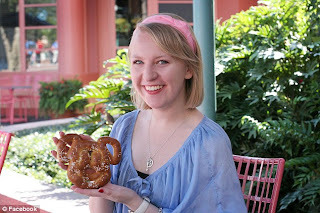 Katie Lentz: Attended by an angel? Katie Lentz (right), a student at Tulane University, was on her way to church this past Sunday morning when her car was hit head-on by a drunk driver. Lentz's Mercedes was a mangled heap and by the time help arrived, the situation was bleak for a happy ending. Firefighters and paramedics struggled to free Lentz from the twisted metal. Despite her circumstance, Lentz spoke with her rescuers about her church and her plans to study dentistry. But after an hour and a half of desperately trying to get Lentz out, it was clear that her vital signs were rapidly fading and that there was very little that could be done. It did not appear that she would survive. That is when Katie Lentz asked the emergency workers around her for a moment of prayer. And that's when he appeared. Out of nowhere. Literally. The priest approached Lentz and anointed her with oil he was carrying. He prayed with her and with the emergency workers and apparently anointed at least two of them as well. Chief Raymond Reed of the New London, Missouri Fire Department later said that "a sense of calmness came over her, and it did us as well. I can't be for certain how it was said, but myself and another firefighter, we very plainly heard that we should remain calm, that our tools would now work and that we would get her out of that vehicle." Lentz was soon afterward finally extracted and evacuated by helicopter to a hospital. She has suffered several broken ribs, a broken wrist, and both legs have multiple fractures. But she is alive and poised to make a strong recovery. And the priest? He vanished. No one saw him leave, just as no one saw how he could have possibly arrived. Of all the photographs taken at the site of the crash, the priest is found in none of them. Neither have inquiries with the Catholic churches in the area turned up anything about who he could have been. Lentz's family and the rescuers at the scene would like to find him and thank him for his prayer and encouragement. But whoever he is, he has not stepped forward. It is an absolutely fascinating and beautiful story and there is plenty more at the Mail Online's article about it. So... could it be that an angel came to the aid of Katie Lentz and those attempting to free her from the wreck? Hebrews 13:2 tells us that we have sometimes "entertained angels unawares". Perhaps it was a messenger of God who brought divine assistance to Highway 19. Personally, it wouldn't surprise me in the least. I've seen more than a few things along the way that I can't possibly explain. Things which defy all notion of a rational basis. And I've had to learn - some would add "the hard way" and not without merit - to stop looking for a rationale behind any of them. "There are more things in Heaven and Earth than are dreamt of in our philosophy," the Bard observed. There are some things which one has to stand back and accept them for what they are, without any expectation of answers or understanding. This mysterious priest, I would remark, is one of those. And no matter one's faith or even lack of one, it has to be said: our lives are all the more rich because of them. Imagine a few years from now having a smartphone or an iPad equipped with extremely nonvolatile memory, retaining information for decades, is ultra-fast, can be made cheap with already-existing manufacturing technology, and holding a terabyte of data. Your reaction is probably gonna be the same as mine: "Shut up and take my money!!" A little company called Crossbar came out roaring yesterday with its announcement about developing what it's calling resistive RAM (RRAM). And as The Register is reporting, this could be the "flash killer" that makes NAND memory - which is fast approaching the upper limit for feasibility - obsolete. 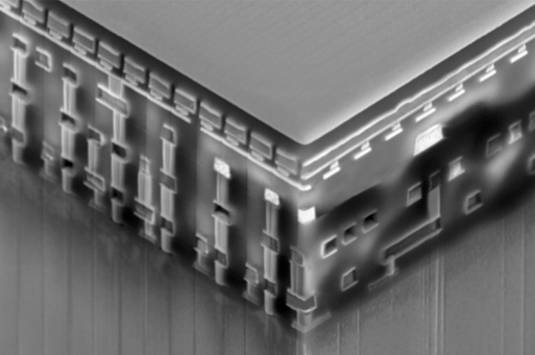 "With our working Crossbar array, we have achieved all the major technical milestones that prove our RRAM technology is easy to manufacture and ready for commercialization," said Crossbar CEO George Minassian when announcing his company's new NAND flash competitor. "It's a watershed moment for the non-volatile memory industry." Whether Minassian's exuberance is justified remains to be seen, but Crossbar RRAM tech certainly looks good on paper. The company claims that due to the tech's "simple" three-layer structure, it can be stacked in multiple layers resulting in multiple terabytes of storage space in a single chip "the size of a postage stamp." Performance claims are also worth a gander. Compared with top-notch NAND flash memory, Crossbar claims that its tech will provide 20x faster writes at 20x lower power and with "10x the endurance," all in a die size that's half that of comparable NAND. Lots of technical specs at the link above, comparing Crossbar's RRAM with standard NAND. I haven't read the whitepaper about it yet but if somewhere in there it indicates that RRAM also has NAND's problem with cell degradation licked, this is looking to be the hot next big thing in computer technology. It's been almost a quarter-century since I first read Ender's Game and for almost as long I've heard a movie adaptation being discussed. With less than three months before it finally comes out, I'm at long last... feeling more than cautiously optimistic that this will be a very, very good movie. I know it would be ridiculously difficult to pull off because in so many ways it's a wildly different sort of tale, but I'm hoping this movie does well so an adaptation of the sequel Speaker for the Dead can get greenlit. And the Twelfth Doctor shall bear the face of... Peter Capaldi! On December 25th, we will bear witness to the fall of the Eleventh and the rise of the Twelfth. The always-emotional regeneration will take place during this year's Christmas special, as Matt Smith's Eleventh Doctor will pass the torch - and the responsibilities that come with such an iconic role - to Capaldi. I am hearing nothing but insanely good things about Capaldi. He was mostly recently seen as a W.H.O. doctor in World War Z (no really, he was) but he's most familiar to British audiences for his work on the comedy series The Thick of It. Interestingly, Capaldi is also the same age - 55 - that William Hartnell was when he first played The Doctor in 1963. I know lots of people who've said that the BBC would never again have an actor over 40 as The Doctor. The choice of Peter Capaldi dashes that but good. Personally, I think it's time for an older actor to once again steer the TARDIS. The Doctor is well over 900 years old and has had to experience and endure so much: an older actor can convey that kind of triumph and tragedy better than a younger man could. All the while maintaining that childlike sense of wonder at the universe that is a hallmark of The Doctor, whatever incarnation he is in. On Christmas Day, the clock strikes Twelve. And from this moment on, Peter Capaldi's life will never, ever be the same. 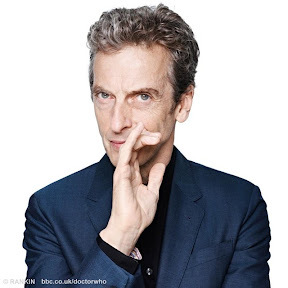 Congrats to Peter Capaldi, and long live the Twelfth Doctor! Our first look at Series 3 of SHERLOCK! Sherlock returns in the spring of 2014. 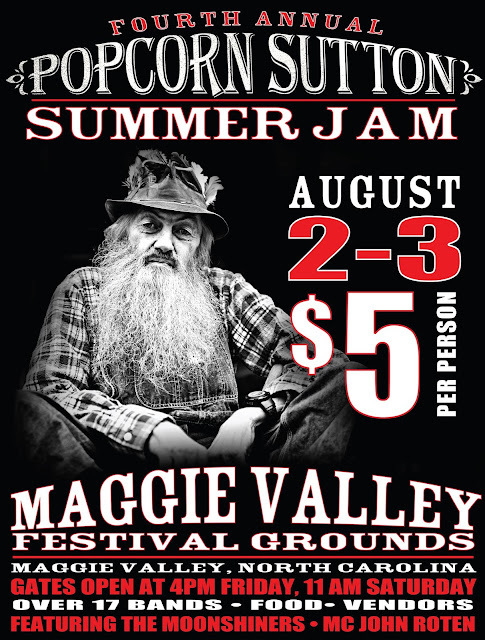 The Fourth Annual Popcorn Sutton Summer Jam is this weekend! If you are in the neighborhood of western North Carolina this weekend, you won't find much more good times than at the Fourth Annual Popcorn Sutton Summer Jam. And if you aren't in the neighborhood and have some time, you should come anyway! Since its humble beginnings as one evening at a Maggie Valley restaurant three years ago, it has grown into a two-day event bringing people from all walks of life together to celebrate the life and art of late moonshiner Marvin "Popcorn" Sutton. With lots of live country and bluegrass music, food, local crafts and a plethora of colorful characters walking about (some no doubt dressed as Popcorn himself), the Popcorn Sutton Summer Jam is a rollickin' fun festival honoring the man and the Appalachian culture he was proud to represent. Bring along your lawn chair and get ready to enjoy the show!